Well we made it friends! Today is the final post in my Beginner’s Guide to Blogging Series. Goodness, that went fast, right? 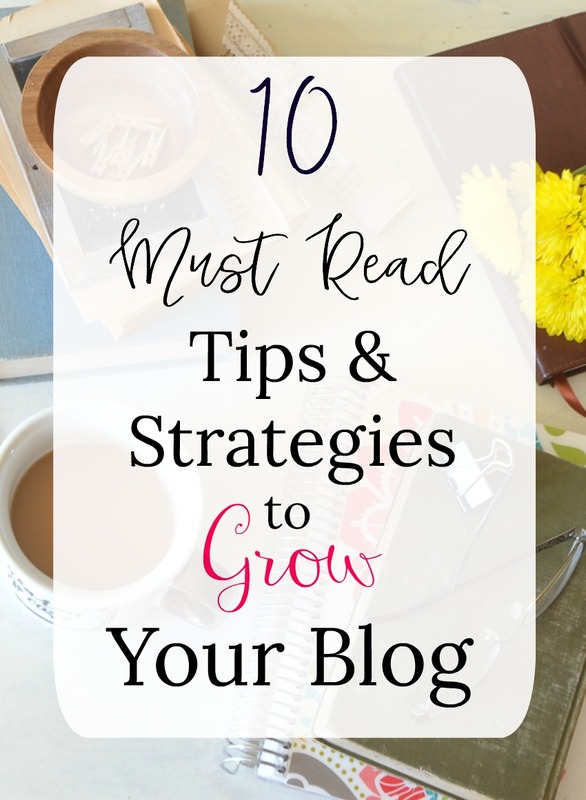 Today I’m talking about my best 10 tips for growing your blog. Now before I get into it, let me just say that there are literally hundreds of different things you can do to grow your blog and increase traffic. And honestly, it can start to feel really overwhelming when you think about all that could be done to grow and expand your blog. Especially if you’re a one-woman show like me–you’ll likely always feel behind on something or lacking in one area or another. But little by little it can be done with a lot of strategic planning and caffeine. So today I wanted to dedicate the final post in my series to the top 10 things you can do right now to grow your blog. Some of these are very easy and some will take a bit more time, but all of them are effective and proven strategies that I’ve used to significantly grow my blog over the past year and a half. Just like with anything in life, the more you know the better you’ll do. I highly recommend educating yourself as much as possible about blogging. There are a ton of free resources out there, just check Pinterest, and even more paid e-courses, books, and webinars from the best bloggers in the world. 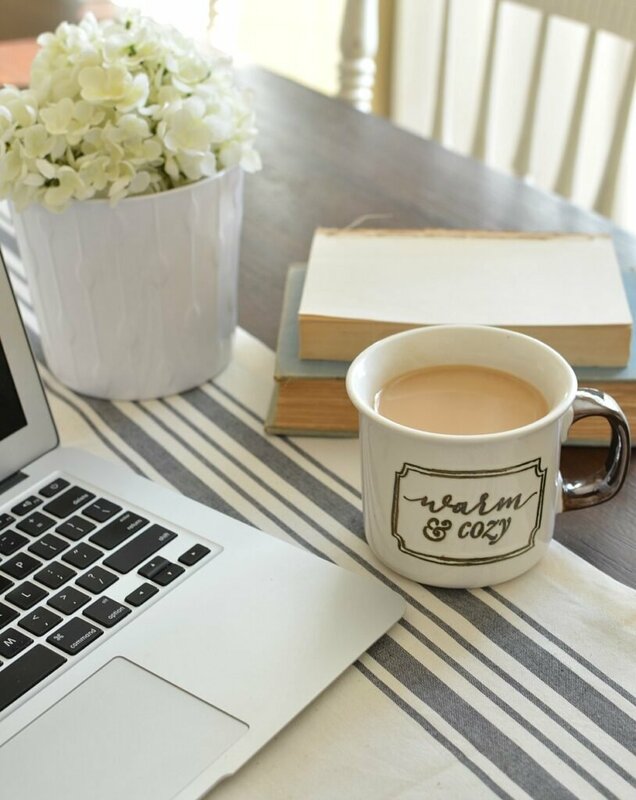 I know it can seem overwhelming with everything else you have to do to keep your blog up and running, but do your research and dedicate yourself to learning as much as you can about blogging. Challenge yourself to become a blogging expert. I touched on the importance of this earlier in the series, but I think one of the key factors to growth is to give your blog a very defined focus that isn’t too broad. Figure out what you LOVE to write about and do that. Stick to it. I’d recommend choosing up to 5 topics you want to write about and then do your best to stay within that spectrum. For me those five would include: DIY projects, home decor, how-to/home styling tips, blogging, and a bit of personal/lifestyle. I think it’s fine to branch out from those topics from time to time if it’s for something really great, or maybe you want to test something with your audience, but for the most part I’d stay within your primary categories. These topics can change and evolve as your blog grows. You aren’t locked into those things forever and ever, but narrowing your focus will help your readers know what to expect from you and bring in a more dedicated and loyal audience. 3. Study your results + duplicate what works. One of the best things you can do as your blog is growing is pay close attention to what works and what doesn’t work for you. Study your page views and learn what your audience is drawn to–which posts are doing well and which ones were a miss? Some of my best posts were things I wrote in the first 3 to 6 months of blogging (and some of the worst ones were too!) but each of those posts can teach us something about how to move forward. By figuring out which posts were a hit you are able to write spin-offs on similar topics. For example, if a post you wrote about meal planning continually does well on Pinterest and brings in great page views, figure out how you can write a second or third post to follow up to that one. Do more of what works and less of what doesn’t. 4. Edit + update your old posts. After you’ve figured out what posts are doing well for you, go back in and make sure you’ve monetized those posts the best you can. Put in affiliate links wherever possible and also be sure to add links to similar posts on your blog. You can also go back into older posts and edit them to improve SEO, keywords, images, etc. For example, might want to re-do the graphics you created for an old DIY post just to freshen things up. Send the new image out into the world of Pinterest and see what happens. 5. Ride out the highs + lows. Nearly every single blog out there experiences high and lows when it comes to traffic and growth. Sometimes your numbers are looking great and sometimes they’re not–that’s just part of the game, especially for newer bloggers. And while I know it’s a lot easier said that done, don’t let those dips in traffic discourage you. Blogging is a marathon not a sprint and it takes a lot of hard work, determination, and resilience to keep going. If you’re experiencing a dip in traffic, do your best to ride it out and don’t be afraid to try new things or change up your strategy all together. Regardless of the niche you’re in, there will likely always be topics you can write about that relate to upcoming holidays. In the blogging world things move fast so you should be thinking about holiday focused posts at least several weeks, if not months, in advance. Pinterest is obviously a huge traffic driver and people start searching for holiday related ideas way ahead of time, so you want your stuff out there and done early. Obviously you don’t have to do this for every single holiday, but I’d definitely recommend trying to create a few posts for the big ones like Christmas, Thanksgiving and New Years. And don’t worry about them dying off after the holiday is over–you’ll be happy to start promoting those posts again next year! 8. Give yourself time to reflect + set actionable goals. At the first of every month I like to sit down with my planner and write out my goals for the blog. I do a “brain-dump” where I scribble down potential posts ideas, things that need to get done on the back end of the blog, and also take note of any big holidays or events on the horizon I should be preparing for. I also look at my numbers and income for the past 30 days and evaluate where I want to be for the next month. I think this is so important because it gives me time to reflect on how things are going and also set goals for what I want to accomplish. It’s so easy to get sucked into the demands of running a blog and we forget to just take some time to step back and breath. Figure out what areas you need to improve in and things you are doing well. What did you spend your time on that wasn’t helpful? What can you do more of in the next month? Even one hour of dedicated goal setting time can make a big difference. 9. Don’t ignore your email list. One of the most important things you can do to grow your blog is to make your email list a priority. I know it doesn’t seem important now as you’re just getting started blogging, but it simply can’t be ignored. 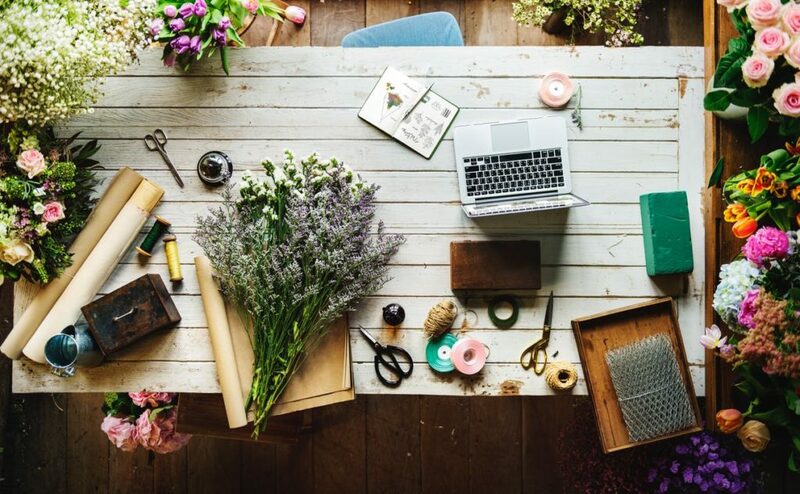 Unlike social media numbers that are sometimes fickle and dependent on wacky algorithms that are always changing, your email list is something you actually own. These are your people. People that genuinely love what you’re doing and want to see more. They want to hear from you, get the latest scoop on what you’re up to, and learn about what exciting things you have coming up. Having a large email list with thousands of loyal fans will not only increase your traffic numbers, but it also give you a base of fans that you can share affiliate sales with or potentially your own products, such as e-books or courses. Start thinking of ways you can grow your list–what incentives or freebies can you give in exchange for new subscribers? There’s a ton of free info out there on this subject, so do your research and make it happen. Blogging can be a tough world, I’ll be honest with you guys. There’s a lot of competition and there will always be something or someone “bigger and better” than you and your blog–that’s just the reality of life. But you have to stay true to yourself and your passion. Find your voice and stick to it. Don’t let yourself get sucked into comparison, that will only bring you down and distract you from moving forward. I know it’s a lot easier said than done, but it’s so important for your overall well-being. Especially if blogging becomes your job and it’s something you’re doing every single day, you need to establish healthy boundaries for yourself. Learn from others that are doing well, but be careful to not spend too much time focusing on what everyone else is doing. All right friends, those are my best 10 tips to grow your blog. I truly hope this series has been helpful to you. I’ve really enjoyed doing it and it’s been great to connect with so many of you that are just getting started blogging. I know when I got started back in late 2015 I felt completely overwhelmed by it all. Heck, some days I still do! But I loved it at the same time and it’s all I’ve wanted to do ever since. I am so passionate about blogging and I am very grateful to call this my “job”. So if you’re just getting started and feeling that same sense of overwhelm, don’t let it hold you down. You can achieve anything you set your mind to–just work hard, put in the effort, and be yourself. The rest will come. And above all, try to enjoy the process. Blogging should be FUN, after all! Sarah! You are amazing!! I have loved learning and traveling this journey with you into the world of blogging. Even though we started at the same time, you quickly with a lot of hard work, became a top blogger & my favorite!! Thank you for all of these posts! I will pin them and save them all!!! Aw Kellie, you are so sweet! I’m just blessed we started this journey together and can support each other–you are a gem! Just getting started with my blog so thank you! Thas awesome, good luck to you Julie! I couldn’t agree more Heather! Writing about things you love and enjoy is really soul satisfying and it truly feels like the best “job” ever. I wish you the best of luck as you begin your blogging adventure–I have a feeling you’re going to do awesome! Thanks so much Sarah , You are truly the best . Just have to do my best to put all those tips into action, Im both nervous and excited at the same time. May God keep blessing you in this work you do. You are very welcome! And you will do great Teresa, I just know it!! Thank you so much for sharing! I learned a lot from this post!